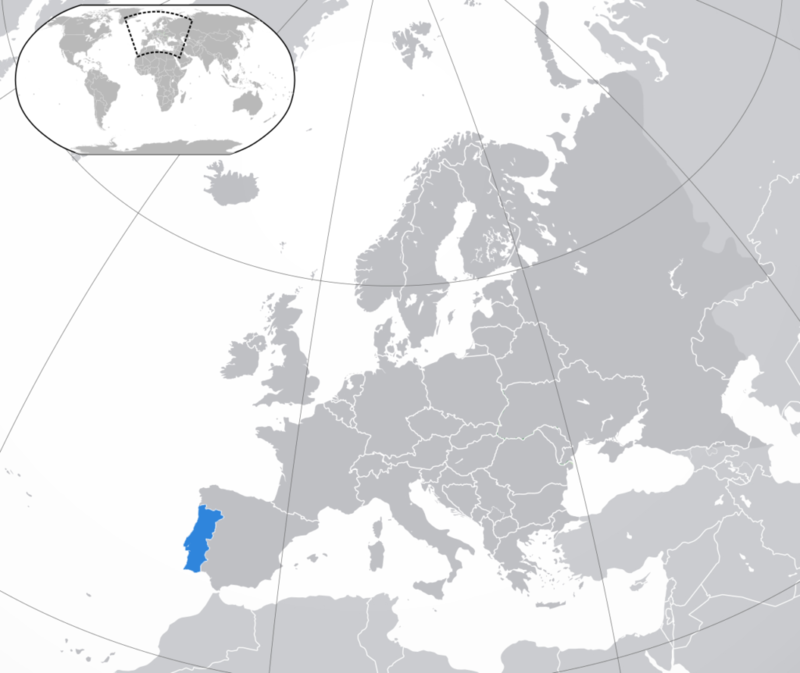 Portugal is located in Southwestern Europe. The country has quite recently overcome the period of a prolonged crisis and the period of economic growth has started. The key segments the Portuguese economy is based on are the service sector and tourism. The population of the country exceeds 10 mln people. The most dynamically growing segments are health, public services, energy, and communications, solutions in the field of security, virtualization, unified communications, and mobile communications. 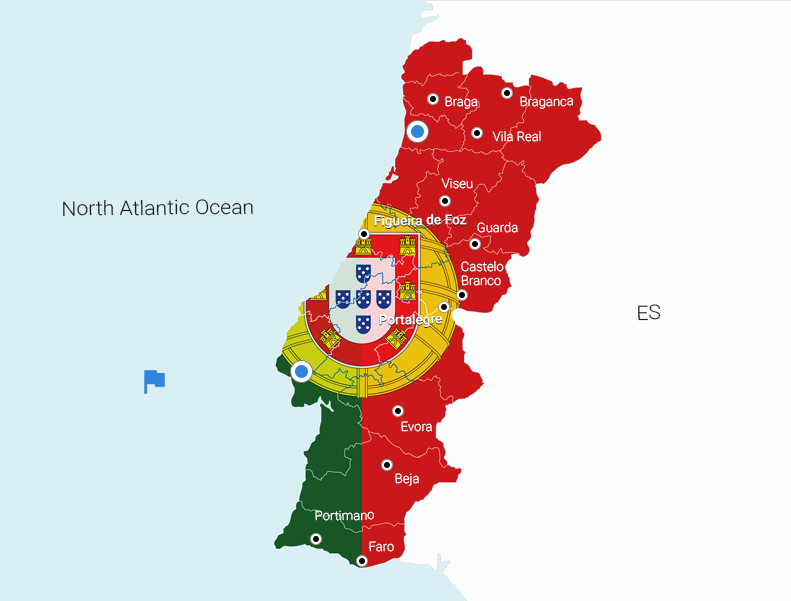 Portuguese tax system consists of state and local taxes imposed on a personal income, which are generally calculated based on income, expenditure and property ownership. An interesting fact about Porruguese taxation is that a married couple’s income is taxed jointly. Corporate Income Tax stands at a flat rate of 21%. However, capital gains and investment income may be subject to special rates. Both residents and non-residents of Portugal are liable to personal social security contributions at 11%. Social security contributions for employers are 23.75%. The Portuguese legislation does not envisage a notice period upon dismissal of an employee. Of course, the dismissal cannot be completed without providing grounded reasoning for it and an employee should be notified in writing about it. Of course, the dismissal cannot be completed without providing grounded reasoning for it and an employee should be notified in writing about it. The prices for office rent in Portugal on average vary between $7-28.70/m2 depending on location, furniture available, etc. For instance, an office for rent in Lisbon will cost between $9.50-21.50/m2 without furniture, and $20-28.70/m2 if it is furnished. The price for the same office type in Porto will vary between $7-14.30/m2 without furniture. The Portuguese IT industry currently employs about 17.5K specialists, however, the industry is rapidly growing owing to the government’s initiatives on attracting startups and enticing entrepreneurs by providing tons of benefits for their investments. The country’s IT sector has become known owing to some major programs that attract representatives of start-ups from other countries – the Lisbon Challenge, the Building Global Innovators, the Startup Braga, the UPTEC Ace, inRes – Entrepreneurship in Residence. Among the promising startups from Portugal can be called Unbabel, a service that combines machine and human translation; as well as Landing.Jobs, an online platform for IT recruiting. One of the largest tech events – WebSummit was held in Lisbon for three consecutive years and was a huge success for both the conference and the city. Portugal is one the most popular countries for obtaining technical education since it has a lot of schools and universities that provide technical education; it is involved in numerous international programs. Another benefit of local education is that many universities are affiliated with several research centers, hence, their students get great opportunities to practice their skills as well as test their knowledge. The classes may be held in Portuguese or English, therefore, the students coming to Portugal from abroad should have a basic knowledge of the English language to be able to attend classes.